For those wishing to attempt the CFCE without attendance at the BCFE training, we offer an External Certification process. The External CFCE process is offered on a space available basis determined by our coaches availability and the attendance at our BCFE events. There may be cycles with no external seats available. The external process provides you the same testing experience as BCFE attendants, you will also receive a printed student manual. As such, its availability will be announced on our list serv and this website. The registration for each external CFCE Cycle will open for purchase on or about March 1st and October 1st of each year. 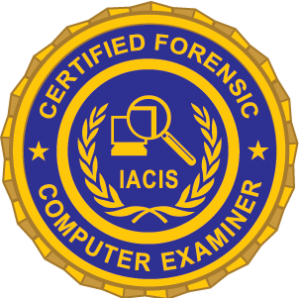 The cost for the external certifications is currently $750.00 US. This includes a copy of the student manual. 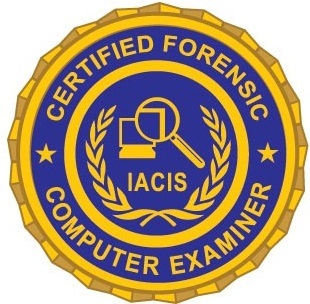 Prerequisites: Candidates must show proof of 72 hours of computer forensics training equivalent to the BCFE core competencies. Candidates may be required to show proof in the form of a training certificate. To enter the external CFCE program, return to our website during the open periods to purchase the CFCE Certification only. The option to purchase the External CFCE will only be available during the open periods, listed under Purchase Products.